TWO CANCER SUFFERERS arrested in connection with a transfer of about €3.5 million worth of cocaine at a car park at Liffey Valley in Dublin have been refused bail. Dutch national Bernardus Jozef Scherrenberg, a 47-year-old father-of-two, and mother-of-three Sugeidys Huve (40), from the Dominican Republic, were both charged with possession of cocaine with intent to supply on 6 December . They made no application for bail when they appeared before Dublin District Court on Saturday. Today they pleaded for bail when their case resumed before Judge Michael Walsh. However, gardaí resisted the application citing the seriousness of the case and fears that they were flight risks as they had no ties to this country. Detective Stephen Gillespie of the Garda Drugs and Organised Crime Bureau told the court it was alleged that 49 kilos of cocaine, worth nearly €3.5 million, were seized. He alleged that Scherrenberg arrived in Ireland at 4.30pm on 6 December and was due to leave the country the next day at 8.05am. It was alleged Scherrenberg transferred five white buckets, each containing seven kilos of cocaine, to the driver of another car outside the shopping centre in west Dublin. He agreed with defence solicitor Michael French that it was accepted he did not know the extent of the alleged quantity. His wife and other family members came to the bail hearing. French suggested his client could reside at an address in Sandymount in Dublin 4. He also said the accused man suffered from cancer and had been attending a hospital in Holland. However, Gillespie said no bail terms would alleviate his concerns. Objecting to bail being granted to Huve, Detective Garda Wesley Kenny said she was in the car as the driver transferred five tubs of cocaine to another vehicle. There were two tubs of cocaine still in the car with her at the time of her arrest, it was alleged. The court heard she was from the Dominican Republic but had residency status in Holland. Kenny said the accused had no ties to Ireland and the court also heard she suffered from thyroid cancer. French said she would abide by bail conditions. 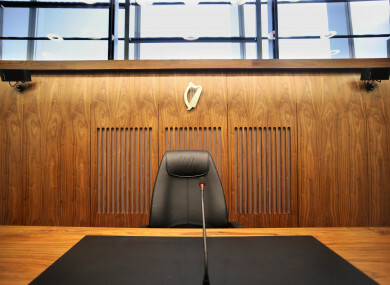 The court heard that further charges could be brought and the car had travelled to Dublin from Holland via England. The judge refused bail and remanded them in custody to appear again on 19 December. He also directed that they must receive medical attention in custody. Two other men are before the courts in connection with the same seizure. Email “Two cancer sufferers refused bail over €3.5 million cocaine seizure in Liffey Valley car park ”. Feedback on “Two cancer sufferers refused bail over €3.5 million cocaine seizure in Liffey Valley car park ”.